The Golf League Network is an Internet based golf league software management application endorsed and embraced by many industry leading organizations and associations. 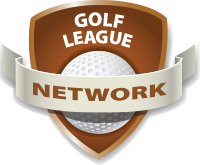 The Golf League Network software helps league administrators and secretaries manage their golf leagues and provides league golfers instant access to league schedules, pairings, golf handicaps, and league results. The system is flexible, feature rich, and time tested. And, because it's available per golfer at less than a sleeve of golf balls, it's a great value! Start your Free Trial or register and get started today? Independent League Free Trial: Three free rounds, pay prior to computing the fourth round! 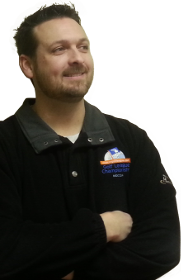 "For 13 years I have been the primary liaison between league administrators & golfers and our talented software programmers. I've witnessed first hand how the Golf League Network benefits those who use it and I feel more passionate than ever about its future. It saves courses and league admins countless hours of work and provides additional FUN and resource for league Golfers. And, it's only getting better, so please call and let me help you help your league(s)!" The most popular way for your league to have access to the Golf League Network is to convince your course to offer it to you. In this case the price is $6.95 per golfer (to a max of $295 per league) and subs are Free. A majority of leagues within the system take advantage of this discounted price through their course. And, it should be noted that in many cases the course will make a contribution and reduce the price to the league because they receive benefits from the Golf League Network as well. Or, if your course isn't interested in offering you the discount or your league would rather operate apart from its course (as an independent), your league can still have access to the Golf League Network at the price of $7.95 for each Golfer & Sub to a maximum of $345 for the year. So, feel free to pay more as an independent league or talk to your course leadership and have them contact us to learn the benefits of partnering with the Golf League Network to best serve the league golfers at their course. For more information click the Pricing button below. 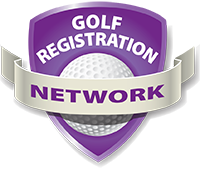 Interfaces with sister Golf Network applications including the Golf Handicap Network and the Golf Tournament Network. 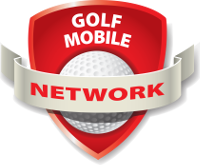 The Golf Mobile Network is a phone and tablet application that is designed to provide golfers with up to date on demand information pertaining to their golf league; such as scheduling, pairings, results and handicaps. Golfers can download the application to their mobile device and use it at their convenience. Without question, easy access and ease of use make this the application that all golfers want in hand. And, most importantly, this service is provided to league golfers and subs at no additional cost (meaning it's FREE). 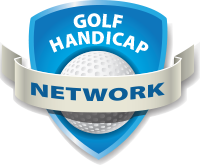 For a nominal fee each league golfer and sub can join the Golf Handicap Network; an Internet site that allows them to track all of their outside league golf activity and that provides them with a Recreational Handicap that includes scores shot outside of league play. Note, scores shot outside of league play will not affect their specific league handicap if a league only wants to count scores shot within league play. The Golf Handicap Network is a great tool to keep golfers engaged within the system year round. 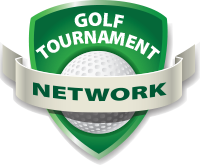 The Golf Tournament Network is a tremendous tool for managing course events. A great feature is that all league players within the League Course can be seamlessly added and managed within events. And, because the GTN has application at all types of clubs, it is currently the fasted growing Golf Network application.